Junk Chunkers is a full service Junk removal and Hauling company. 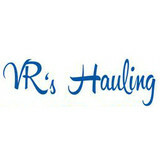 We will pick up and haul off any of your unwanted items around your property. 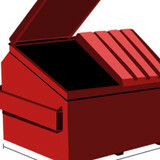 We’ll give you more space in your home, office, or apartment by removing your junk fast and efficiently. No job is too big or small. Junk Chunkers ensures the best customer experience one job at a time. Junk Chunkers strives to be as eco-friendly as possible. We try to donate or recycle as many items as we can to remove useful junk from piling up in local landfills. Call Junk Chunkers today and let us show you why we are the best junk removal company in the Dallas area. If you’re planning a home renovation or major home clean out, hiring a residential Sachse junk removal service is a no-brainer. From the initial dumpster rental to electronics recycling to trash removal, using a junk removal company in Sachse, TX will ensure that removing the remains of your remodel or cleaning up your clean out efforts is as stress-free as possible! There are full-service junk removal companies in Sachse, TX that help with everything from clutter and hoarding cleanups to appliance recycling to donating unwanted items. Keep in mind that you may need professional help removing certain items from your home, particularly if they’re toxic or unstable. Here are some related professionals and vendors to complement the work of junk removal: Tree Services, Environmental Services & Restoration, General Contractors, Home Builders, Landscape Contractors. Find rubbish removal professionals on Houzz. Narrow your search by city or zip code for a list of Sachse, TX rubbish removal services. Get contact information so you can ask about rates, and read customer reviews to find the best rubbish and trash removal service for your home improvement project.